Ubiquitously active general Flp deleter. In vitro-derived Flp recombinase under the control of the chicken beta-actin promoter and an hCMV immediate early enhancer. The use of the chimeric CMV enhancer/beta-actin promoter leads to a ubiquitous expression profile in eukaryotes. The Flp recombinase carries a minimal, nuclear localization signal from the SV40 larger T-antigen. Additional elements of the expression cassette are an intron with splice donor and acceptor sites upstream of the Flp gene and a synthetic polyadenylation signal downstream of the Flp. This colony is currently being intracrossed to homozygosity. In the interim, mice may be sold as carriers. 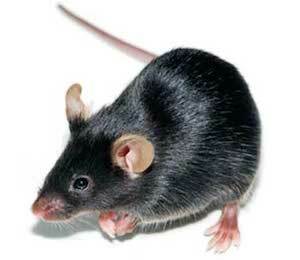 Mice with a genotype of Carrier(C) carry the transgene, but may be either hemizygous or homozygous. The Flp Deleter mouse was developed by Artemis Pharmaceuticals (now Taconic). The mutation was introduced through random integration (microinjection) of the CAGGS-Flpe into C57BL/6 zygotes. The line was backcrossed 10 generations to C57BL/6NTac and intercrossed to homozygosity. The line was rederived in 2013 and is currently being intracrossed to homozygosity. Access to this model requires execution of a Flp Deleter Crossbreeding Agreement. There are two types of agreements, a one-time license which permits a single crossbreeding event to a specific mouse line or a broad license which permits crossbreeding to an unlimited number of lines during the term.